Went up north with J in one of his out of town trips. The supposed to be 7 hour drive took us almost 10 hours due to some mishaps along the way. Nevertheless, back ache, grumpy kids and the scorching summer heat was all worth it. 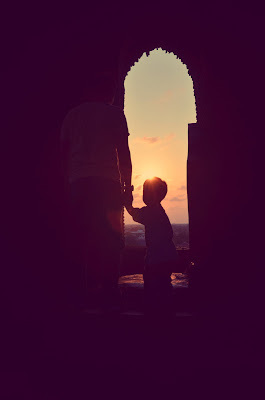 The photo didn't turned out the way I wanted but I love how the sunset sets in the window of the Bell Tower in Bantay, Ilocos Sur with my lovely subjects--two boys of my life.